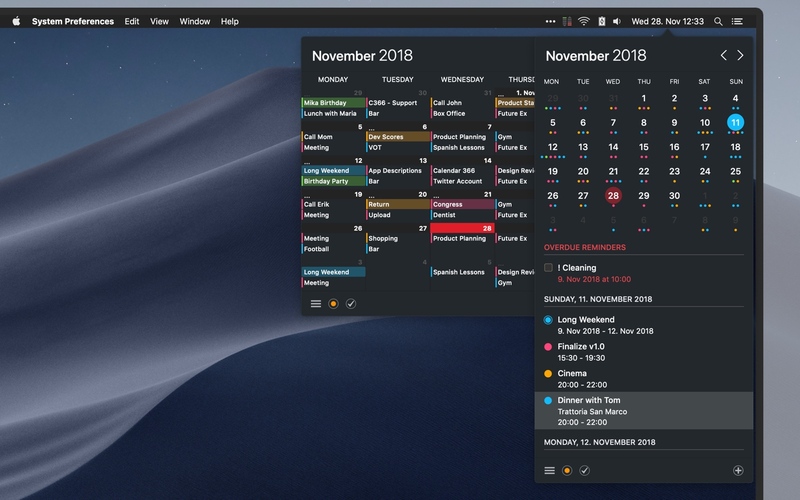 The most complete menu bar calendar for macOS! 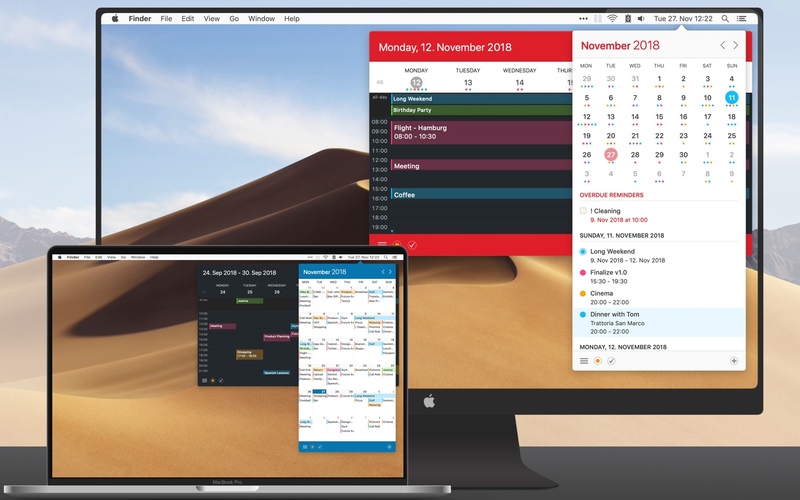 Calendar 366 II is the most complete, versatile and powerful menu bar calendar for macOS. 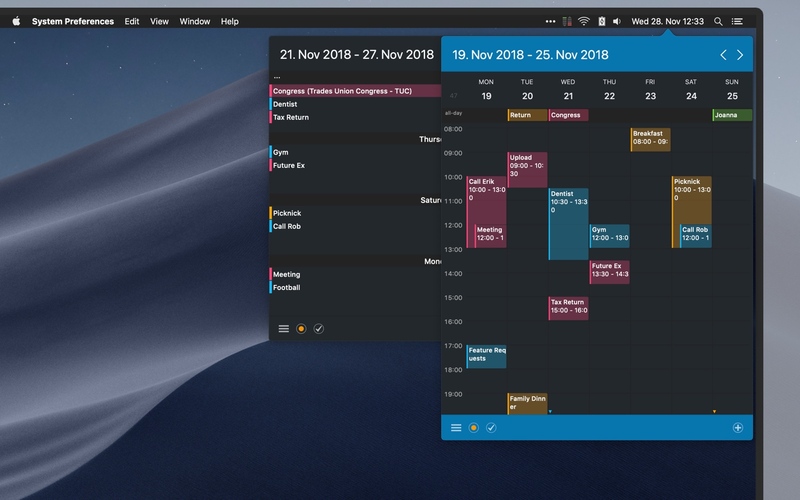 Version 2 comes with a beautiful fresh design, 8 different views and 9 themes to perfectly fit your needs and a lot of new features such as invitations & attachments. Made for all your plans, made for you! 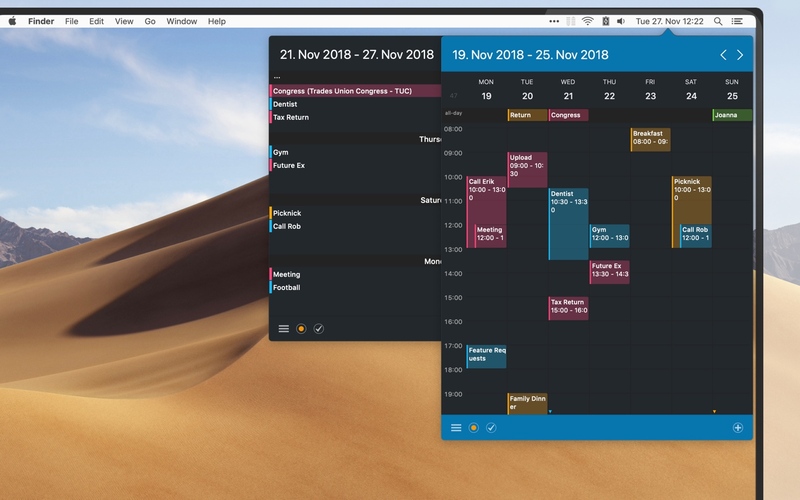 Quickly find your events & to-dos with Spotlight on macOS 10.13 High Sierra. 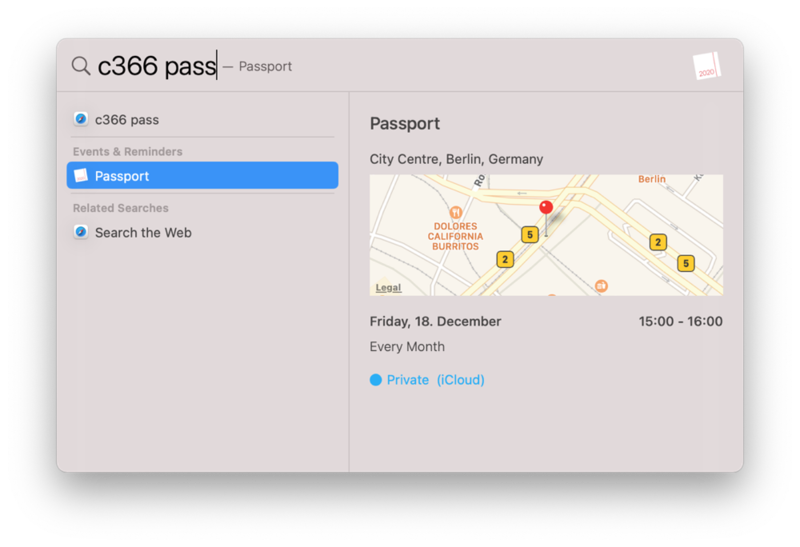 Use the keyword "C366" to show results only from Calendar 366! 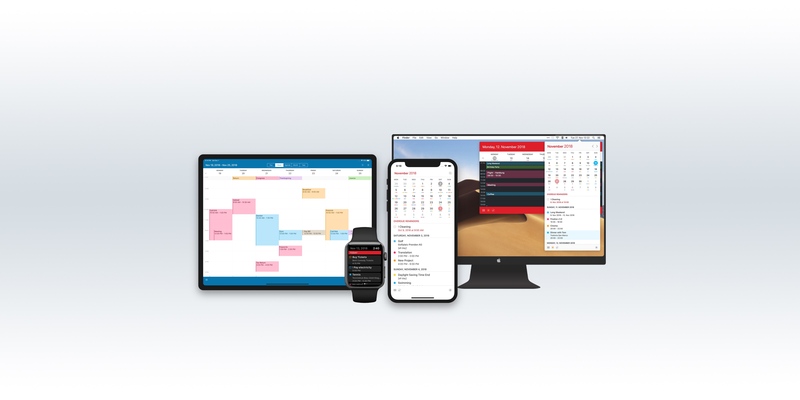 Easily switch to your favorite view, change the active day, week, moth or year or create new events and reminders with the MacBook Pro Touch Bar. 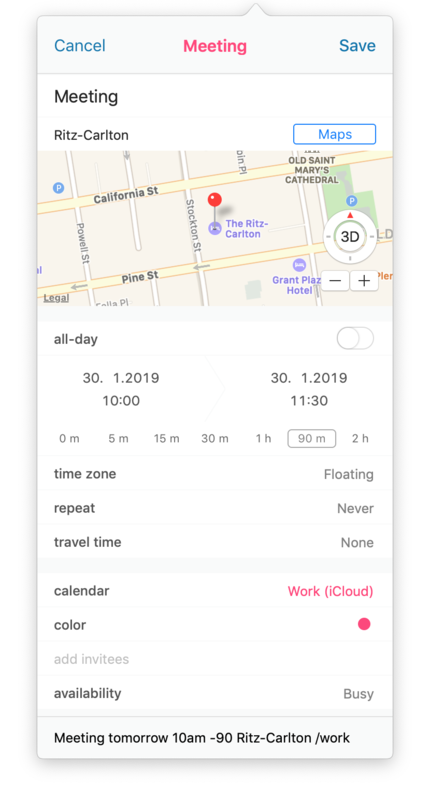 Create new events and reminders using Calendar 366 II' natural language input. 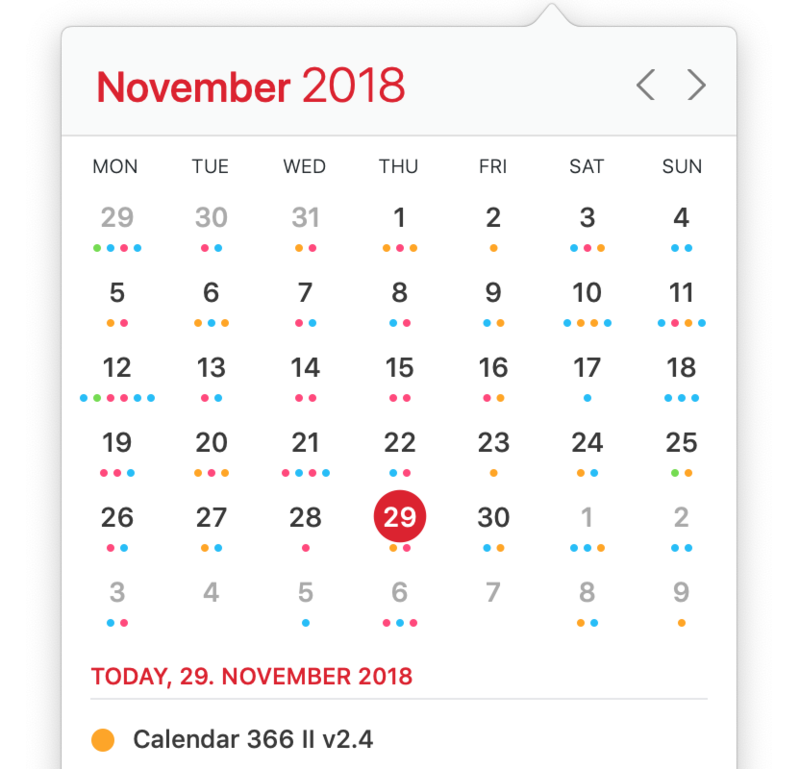 Calendar 366 II is fully localized in English, German, Spanish, French, Japanese and Chinese. Of course, as universal app. 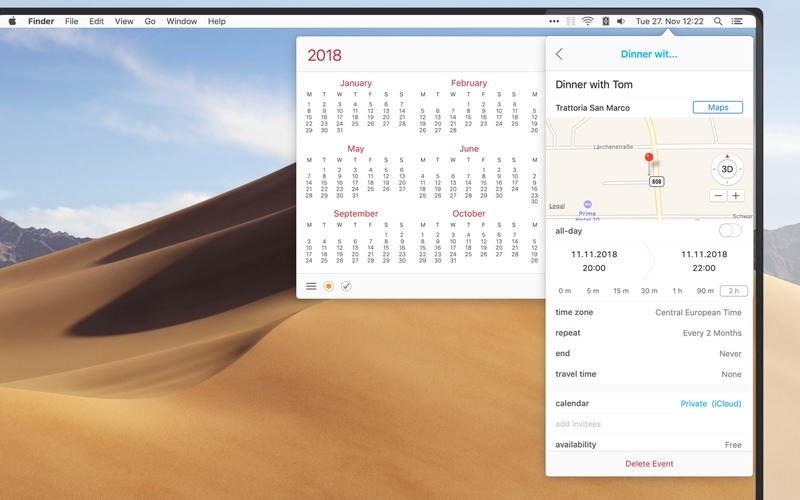 Get Calendar 366 II for Mac today! 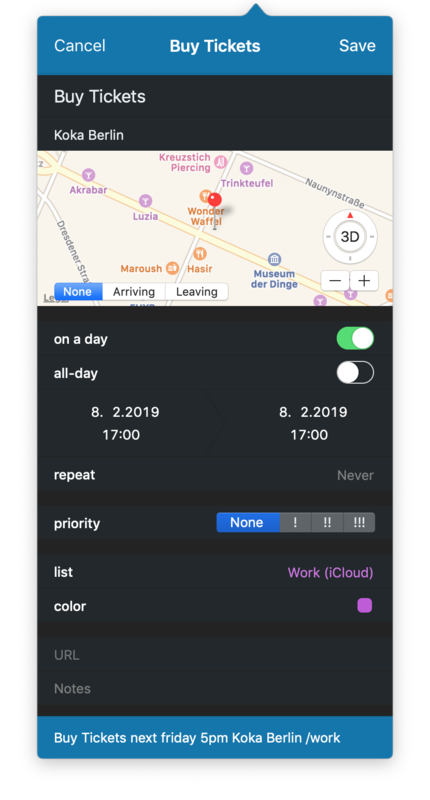 ...the ugrade to v2.0 is well worth every penny. I only wish some other apps were half as good as this is.